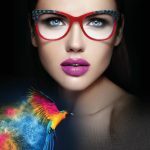 The emerging eyewear company Image, is paving its way to bigger success. The brand is known for its state-of-the-art quality, impeccable finish, sleek design and unique style. The subtlety of the eyewear, the designs and the styles showcase sophistication, class and elegance. as the brand ambassador for the India market has taken the media by storm. And this is just another star of success, added to the evolving universe of the brand. R Kumar managed a Guinness World Record in Ahmedabad? Vijaya Optical House Wins The Times Retail Icon 2017 Award! Season Of Awards Is Here: EBlock To Be Evaluated For The German Design Award!